Last year Tourism New West launched a great initiative to promote the growing, local food scene in New Westminster. 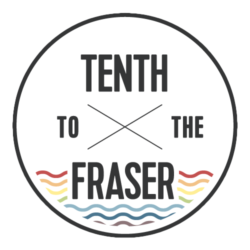 What is Feast on the Fraser? It is a 10-day culinary experience that pairs food and fun with a signature event each day from September 23 to October 2. There’s an event every day of the fest, priced at $25, $45, or $65. All of them feature ingredients produced in the fertile Fraser Valley. This is a total buffet teaser of the rest of the fest. Your $45 ticket gets you food from a huge assortment of River Market food vendors: Wild Rice Bistro, El Santo, Longtail Kitchen, and Tre Galli, plus, an appearance by Match Eatery and your choice of a drink from Steel & Oak or Pacific Breeze Winery. There is live entertainment and a cash bar. This is the primer event and a great sampling of what to expect. 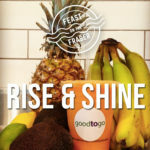 There will also be live music featuring Carson Cleaver, and an apple tasting from the Fraser Valley Group. SHUCK YEAH! (You know I have been dying to use that!) This event is a collab between The Boathouse and the Samson V. What’s the Samson V? It’s the last steam-powered sternwheeler to operate in Canada and is now a part of New West’s museums and attractions. 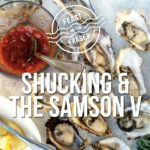 Have a tour of the Samson V and enjoy Fraser River views from The Boathouse’s Lounge and enjoy an elegant champagne and oyster shucking event. This one is really well priced at $25 a ticket and has “date night” written all over it. Perfect for a stop on your way to a night out. WHERE: Samson V Museum – 880 Quayside Drive and The Boathouse Restaurant, right next door. 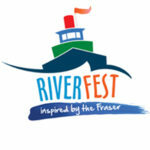 On Saturday, September 24, the 14th edition of RiverFest will deck out the boardwalk with art; historical, environmental and conservation exhibits; engaging activities in the Bosa Family Fun Zone; the famous Lucille Johnstone Workboat Parade; and live music overlooking the beautiful Fraser River. 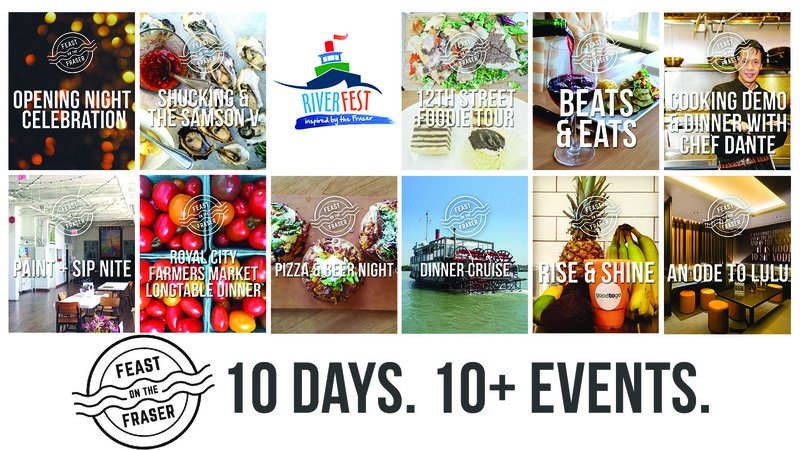 Presented by Port of Vancouver, RiverFest is a FREE family-friendly festival, and a great way to enjoy a beautiful fall day along the mighty Fraser River. Visit the Schedule of Events page for up-to-date information and a complete list of activities and events that will be happening throughout the festival on Saturday, September 24th. 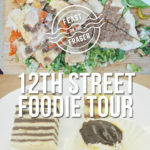 Join Off The Eaten Track on a unique guided food tour along 12th Street to celebrate the multi-cultural cuisine of New Westminster. The tour starts at D Roti Shak for a sample of a Doubles, a popular sandwich-like street food from Trinidad and Tobago. Next we head to Ole Ole, a traditional Mexican restaurant that has been in business for 18 years. Owner and chef Raul will be serving up some delicious carnitas tacos and a sample of their famous Papusa, a Salvadorean dish of stuffed corn tortillas. The next stop is at Wild Thyme, a Lebanese family restaurant where we will sample traditional Lebanese dishes including dips, flat breads, and more. Our last stop is at Gospa’s Delightful Food, a new Eastern European deli, where we will sample three unique Slavic desserts from a historic family recipe. Travel from Mexico to Eastern Europe in a short, but sure to be tasty, walk. Tickets are $45. Tickets – this one is already sold out! Live a little on a Monday night. HUB Restaurant is offering a relaxing, and fun dining experience where you can unwind from a long-day’s work. For $25, you receive a three-course tapas dinner featuring preserves from the Vista D’Oro, and entertainment in partnership with The Arts Council of New Westminster and Douglas College Performing Arts. Way to ease into the week! If you are into tapas, this is the best event for you. 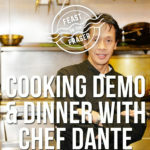 Join Chef Dante at Wild Rice for an instructional cooking demo and food inspired by the Fraser River. Those who love to cook and those who love to eat rejoice! You will pick up some basic knife skills, learn how to butcher salmon, and create some old fashion garnishes from the days of King Neptune Restaurant while learning about the salmon industry in New Westminster recounted by waterfront workers in transcribed oral histories courtesy of New Westminster’s Museum & Archives. After the presentation, sit down to a three-course dinner, all for only $65. Expect cheeky garnishes from the King Neptune days. 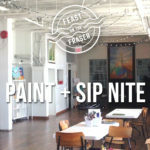 Well known for their Paint + Sip nights, 100 Braid St Studios hosts a special Feast on the Fraser night re-creating historical New Westminster signs with The FAT Paint Company. Join in on the fun on September 28th, 2016 for $65 including drinks made by a Central City Brewery mixologist (alcoholic and non-alcoholic), appetizers, and art. There will be plenty to whet your whistle while you channel your inner artist. This also includes a sampling of the Queensborough Gin. 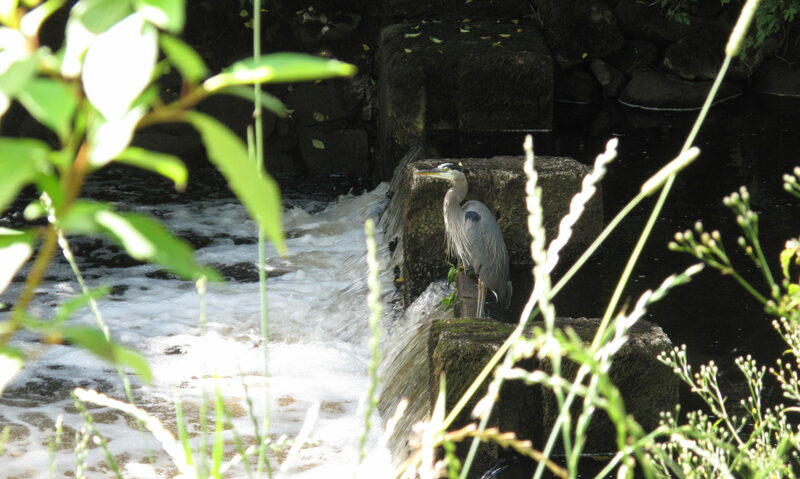 Enjoy a long-table dining experience amongst the trees of Tipperary Park. Catered by Fiesta Catering, using farm fresh goodies from market vendors, the dinner will be served family style with an array of options including salmon, chicken, heirloom tomatoes, and other local vegetables. Tickets to this unique Farm to Long Table event are $45 each which includes a glass of local wine, a three course meal, and an ambience to remember. Want to impress a friend? This is a great one to attend. There is perhaps no better pairing then a cold beer with a hot pizza. If you agree, this Friday night event is for you. 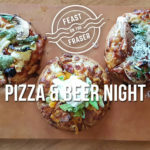 Led by a Steel & Oak rep, you will enjoy four tasters of the Royal City’s own popular craft brews paired with a flight of three Boston Pizza’s mini pizzas. The event takes place on September 30th with tickets for $25 and include a highly coveted Steel & Oak glass. And S&O beers-pert will be on site to answer any and all questions about beer that you might have. Saturday for #FOTF2016 brings two events – one to get you going in the morning, and one to keep your going at night. The first is Rise and Shine with Good to Go and MOVE Studio. Join Jenni from Move Studio for a 60-minute Barre class where you will exercise to increase stamina, flexibility, and strength, including ballet movements that require balance and stimulate the core. Then, Good 2 Go owner Leni will guide you back to her bar to reenergize with a healthy whole food smoothie of your choice. Get ready to stretch and sip for this “Smoothie Barre” event! Tickets are $25. This event is vegan friendly. 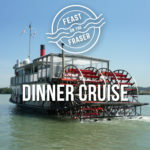 Set the right tone for October with a romantic dinner cruise on the mighty Fraser River with Paddlewheeler Riverboat Tours. A fantastic dinner featuring a large variety of Fraser River ingredients, Tre Galli gelato, and wine by Domaine de Chaberton will allow you to really “Feast on the Fraser” with this event. Tickets are $65 per guest. 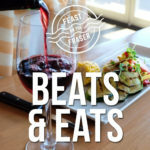 End Feast on the Fraser with a bang. On October 2nd, 2016 Match Eatery + Public House hosts an “Ode to Lulu” with an evening of live music and entertainment celebrating the gold-rush days of the Fraser River, and an extravagant three-course dinner in the Smirnoff Lounge.Featuring Dan Hare. You’ll be dining and dancing like you’ve struck it rich! Tickets are $45. The event is in the exclusive Smirnoff Lounge. 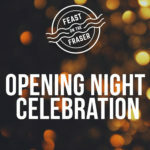 Want to win a pair of tickets to the opening night celebration this Friday courtesy of Tourism New West? Comment on this post with what event intrigues you, and one winner will be selected Friday morning at 10am. 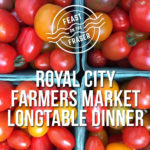 I think I’m most intrigued about the RCFM long table dinner. Been to the farmer’s market pretty much every week this year & loved the variety of things we’ve got – must have shopped at virtually every vendor by now. So it will be nice to have someone else take those ingredients and cook for me for a change. Excited to see what they come up with. The Paint and Sip night sounds like so much fun! Cooking dinner and demo at Wild Rice!